Floyd Mayweather Jr. took a verbal shot at middleweight champion Gennady “GGG” Golovkin last weekend in saying that he’d have no problems beating him, and that he would take him to school if the two of them were to fight. The 40-year-old Mayweather says he has NO interest fighting Golovkin. That’s not a fight he’s interested in making at all. Mayweather he’s done with boxing, and he wants to face UFC star Conor McGregor to give the fans what they want to see. “I’ve seen Kell Brook fight Triple G. You guys was crazy about Triple G, talking Triple G was such an unbelievable fighter,” said Mayweather to the boxing media last Saturday.“He’s OK, straight up and down with no special effects. Even at the age of 40, but I’m not looking forward to fighting Triple G. That would be easy,” said Mayweather in saying he would have an easy time beating Golovkin at age 40. Mayweather says Golovkin is easy, but then he turns around and chooses to fight a novice with no experience in the boxing ring in Conor McGregor. That’s the epitome of easy. That looks like a cherry picking fight to me. McGregor would probably lose to journeyman level fighters. I don’t think it takes Mayweather to beat McGregor. By Mayweather saying that Golovkin would be easy, he’s basically saying his fight with McGregor is going to be a total massacre of a fight, because Golovkin would destroy McGregor. If Golovkin is supposedly an easy fight for Mayweather, then what is McGregor? Why is Mayweather fighting someone with no chance at all of beating him in McGregor? I see that as a fight that will hurt the pay-per-view industry for both boxing and MMA. All the fans are going to be totally pissed when the Mayweather-McGregor fight turns as boring and one-sided as Mayweather’s fights against Manny Pacquiao and Andre Berto. Golovkin would likely walk through Mayweather’s like punches and take his head off. I see this being a mauling type of fight for GGG. If he has trouble landing to the head of Mayweather, you can bet that he would direct his punches to the body and give Mayweather problems that would force him to drop his guard. Having seen Mayweather struggle badly against Miguel Cotto in 2012 and Marcos Maidana in 2014, I don’t think for a second that he could beat Golovkin now or at any time in his career. Mayweather would do alright for a while against Golovkin, but eventually he’d get clipped and taken out in the same way that Terry Norris was knocked out when he moved up to 154 to take on Julian Jackson in the past. It would be worse for Mayweather because he would be moving up 2 divisions after having been out of the ring for 2 years. I don’t think Mayweather would last long before he was knocked out by Golovkin. It’s kind of sad that Mayweather talks about Golovkin, but he’s not willing to fight him. You have to wonder whether Mayweather is jealous of the love and respect that Golovkin is getting from the boxing fans and the media for his exciting fights. Mayweather would have gotten same appreciation from fans if his fights were interesting to watch. I can’t remember the last fight Mayweather was involved in that was exciting. I guess you could say the first Maidana fight was exciting to watch, but only because Maidana was putting a ton of pressure on Mayweather. Without Maidana, it would have been boring just like Mayweather’s disaster of a fight against Manny Pacquiao in 2015. Mayweather seems to be bringing up Golovkin’s name a lot lately without even being asked. Mayweather has already gone on record to say that he thinks Saul Canelo Alvarez will beat Golovkin in their fight on September 16. He thinks the Mexican star is too good for Canelo. It should be interesting to hear what Mayweather says if things don’t work out for Canelo in the Golovkin fight. Does Mayweather give Golovkin credit or does he give Canelo an excuse for losing? 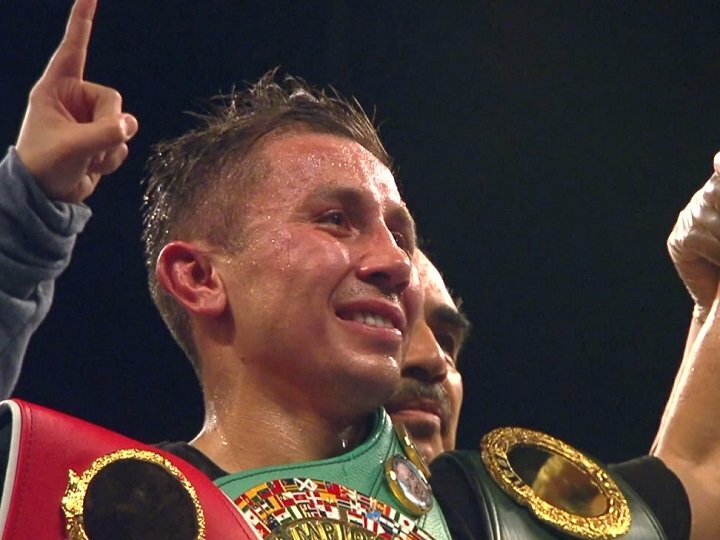 You can already guess some of the excuses that might be flying if Golovkin knocks out Canelo. –	Canelo didn’t have experience at middleweight to fight someone like Golovkin. –	Canelo was robbed. He should have been given the victory. –	Canelo didn’t train right. He should have trained with someone different. –	Canelo was too young at 26 to be fighting Golovkin. He needed two or three more years to mature. If Canelo was in his prime, he’d beat Golovkin. Hopefully we don’t hear excuses from Mayweather in trying to explain away Canelo’s loss to Golovkin if things don’t work out for the 26-year-old. If Canelo can’t beat the 35-year-old Golovkin now, then it’s pointless to discuss the subject. If the idea is for Canelo to just wait Golovkin out until he’s an old man before fighting him, then there’s no way you can give him credit for a win. Canelo has to be able to beat Golovkin if he still wants to be able to get credit. We’ve seen Canelo fight some older fights in the past like Shane Mosley, Lovemore N’Dou, Carlos Baldomir, and Ryan Rhodes. “Of course, you know that,” said Mayweather in response to a comment from a media member that he’d “school” Golovkin. “You know what’s understood and what’s got to be talked about. I can’t go up to middleweight. I wasn’t even a 154 pounder. Like I said before, when the history books are written and you look at the records, love it or hate it, they’re going to say that Mayweather was a winner. There’s nothing more I can do in the sport of boxing,” said Mayweather. Mayweather would be just like another Kell Brook if he fought GGG. Mayweather would do alright for a certain amount of round against Triple G, but he’d fall apart in a million pieces when Golovkin lands a big shot. The way I see the Mayweaher vs. Golovkin fight playing out is just like the Golovkin vs. Willie Monroe Jr. fight. If you saw that fight, you’ll notice that Monroe tried to be slick against Golovkin by moving around initially. However, after Golovkin started hitting Monroe to the body, he was unable to move anymore and was forced to fight stationary. Golovkin ended up stopping Monroe in the 6yh round of that fight after Monroe decided to quit following a knockdown. Next boxing news: Deontay Wilder-Joseph Parker: Is there only one possible outcome?